Another tragedy has fallen upon our beautiful scene. 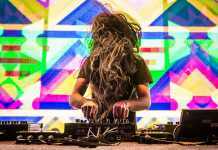 This time the calamity occurred after an enchanting evening in Greensboro, North Carolina on New Year’s Eve, following a sole performance by the unequaled Bassnectar, for his stellar NYE 360 event. The Greensboro Police Department announced that 43-year-old Tam Phan‘s lifeless body was discovered at a local hotel. Details are still cloudy regarding the specifics pertaining to the death of the man, but it has been released publicly that the cause of the fatality is a drug overdose. 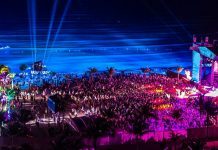 Media outlets have been releasing information that would lead the public to believe that belligerent drug use and debauchery coincide with Bassnectar experiences. 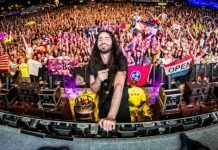 Reports have circulated from a credible source that authorities in Hampton, Virginia, where Bassnectar regularly performs, reached out to the Greensboro Police Department and told them that they “could be in for the worst night of their lives”, indicating that Bassnectar’s reckless following was about to have them scrambling for the event. The New Year’s Eve 360 event at the Greensboro Coliseum, was the third largest event it the history of the facility. A crowd of 22,000 packed the arena and witnessed one of the most mystical experiences in the history of mankind. Bassnectar used his platform to blow everybody away, and during his performance, there would be moments where he was not playing music at all, but instead showing the crowd injustices in this world on a large screen, and things that they can do to fix them. He showed them how to make a difference, and he showed them how to stand up and fight for what is right, in the name of love. It is sickening to watch things get spun in a matter that holds no truth. Where other outlets will lead people to believe that the hospitals were packed out with humans that were experiencing drug overdoses, ambulances working overtime, that police were wrangling inebriated people all night, and that Bassnectar brought 22,000 people with him that raised a complete ruckus in the small mountain town, and basically ruined it overnight; that could not be further from the truth. The fact of the matter is that the community bound together over the New Year’s Eve weekend. It was actually extraordinarily beautiful to be a part of. The local Greensboro community and Bassnectar’s community fully meshed. There were not many weird looks, everybody was polite and getting along. The police were in full force, doing their jobs accordingly and effectively, they were there to keep everybody in check, but everybody got along flawlessly; it flowed. 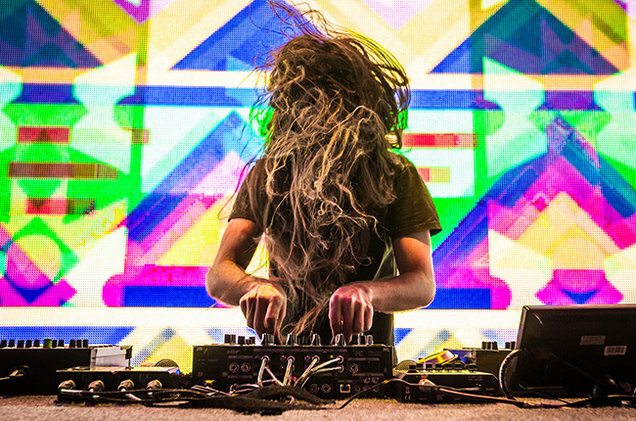 If one were to talk to anybody that was there from the Bassnectar side, they would hear the same thing every time. It would sound something like this. The local Greensboro community was incredible. They completely accepted us. We never got any static at all from the way we dress, our lifestyle choices, or our music preference. It did not matter a bit to them that we are different. They fully accepted us and made us feel welcome and at home. The police were not using excessive force to combat us, and they were actually super cool. They respected us, and we respected them. We felt like they were there to keep us safe, and they did a fantastic job. On the flip side of that, if one were to talk to the Greensboro community they would hear that the Bassnectar crowd is overall extraordinarily polite. That they have manners and respect. They walk with love and will compliment you. They will attempt to get to know you, to connect with you. They are good people. They are a bit wild, but they laugh, dance, play, and love. They say please and thank you, and they hold doors open for people. They are welcome in our community anytime. 22,000 people all crammed into a very small mountain town for a New Year’s Eve adventure, and not even one percent of them had to go to the hospital, were arrested, or had something bad happen to them. Rhetorically speaking, how many fist-fights, robberies, or murders were reported? It is clear that when people take psychoactive chemicals that bad things can potentially happen. New Year’s Eve is typically a time when people let loose and throw inhibitions to the wind. In any city in the world, a few people are going to need some kind of medical attention to counterbalance the negative effects of drug usage on that night; why would Greensboro be any different? 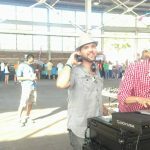 It is tremendously heartbreaking that Tam Phan died on New Year’s Eve following the Bassnectar 360 show. Hearts and thoughts go out to his loved ones, and also to our community; we are one, so we feel it too. Putting an emphasis on testing drugs before consuming them cannot be stressed enough. Knowledge about the proper dosages of chemicals prior to using them is also of the utmost importance for people that are going to take drugs. The rave community will forever mourn the loss of another brother. Let’s all stand together to help our friends remember to test their chemicals, and to not use too much. We love you all.